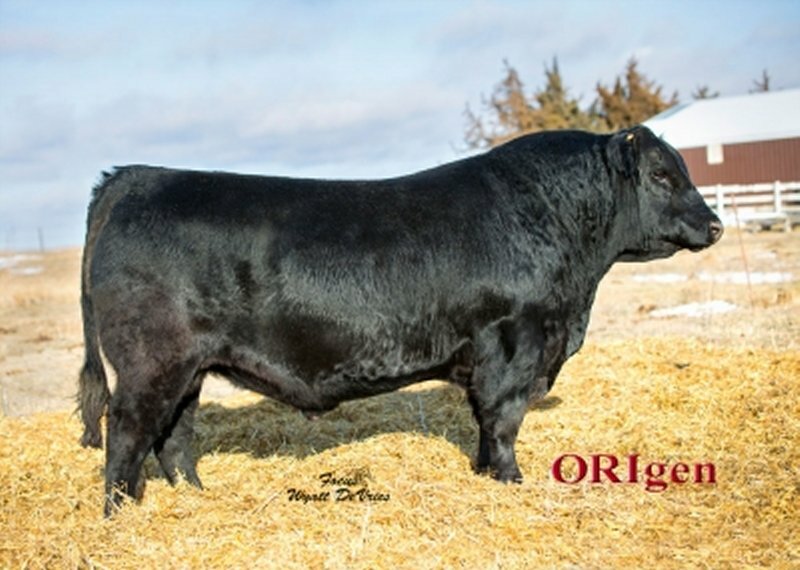 � One of the top five options available from ORIgen as of this writing for Docility score EPD, this top 1% young sire for both $Weaned calf value index and $Beef value index was the $23,000 top-selling bull of the 2017 A & B Cattle Company Bull Sale. 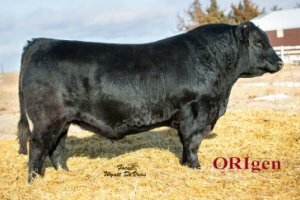 � With elite top 3% rankings for Weaning Weight EPD, Yearling Weight EPD, Marbling score EPD and Rib Eye area measure EPD, as of this writing, this powerful young sire offers a top 2% ranking for $Grid value index and top 3% rank for $Feedlot value index to check every box for profitable beef production. � Produced by a daughter of the Pathfinder Sire EF Complement who also sired the dam of the exciting calving-ease sire A & B SpotLite 5470, the grandam of this high performance young sire is a daughter of the $263,000 record-setting past ORIgen sire EXAR 263C, sire of a long list of great daughters that include the dam of the $340,000 third interest record-setting EXAR Denver 2002B.